When chilly nights call for cocktails with friends, The Cut Cocktail Lounge in Sylva is a beacon of warmth where people gather to celebrate. Here, mixologist Jacqueline Laura is the bearer of good cheer and hearty drinks that meld savory and sweet. The Sylva Winter Sweater is one of several new creations on this season’s menu. 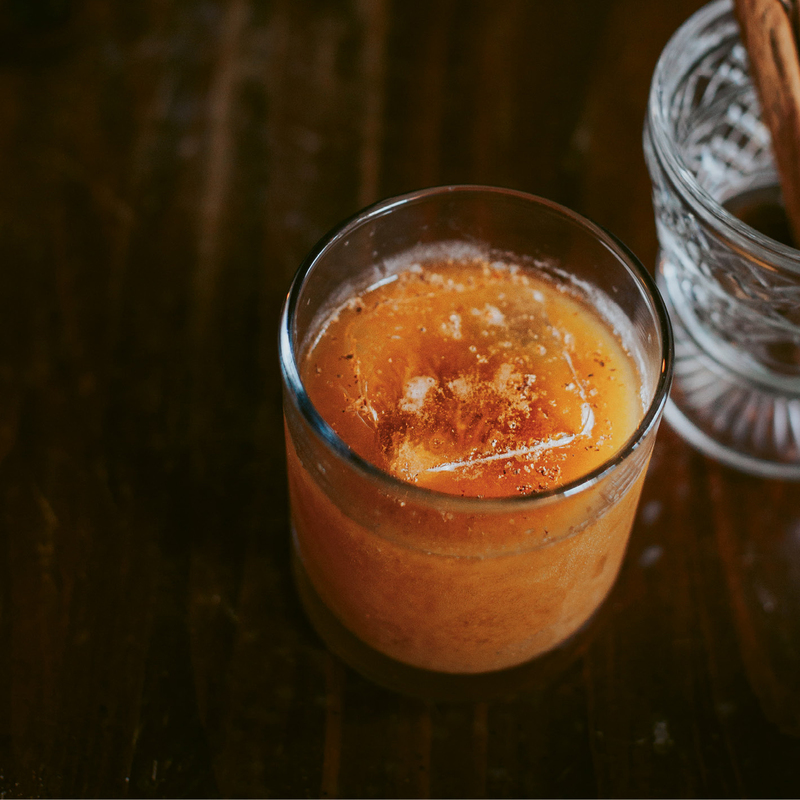 The bourbon cocktail combines holiday flavors like nutmeg and sweet potato with ingredients unique to this region, like sorghum syrup and black walnut bitters. “It makes you feel warm and cozy to have all those things mixed together,” says Laura, who co-owns the bar with Jody Hunt. Black walnut bitters can be tricky to concoct. Luckily, Fee Brothers makes a black walnut bitters that is perfect for home bartenders and available online. Laura also recommends thoroughly puréeing the sweet potatoes and going light on the sorghum. Try this festive drink at home or raise a glass with Laura at the bar. In a cocktail shaker with ice, combine sweet potato purée, black walnut bitters, and sorghum and shake vigorously. Add bourbon and stir. Strain over fresh ice in an old-fashioned glass and grate fresh nutmeg over the top. Holiday Cheer: The Cut Cocktail Lounge in Sylva is hosting Thanksgiving and Christmas feasts complete with all the trimmings. For details, call (828) 631-4795 or visit Facebook: The Cut Cocktail Lounge.